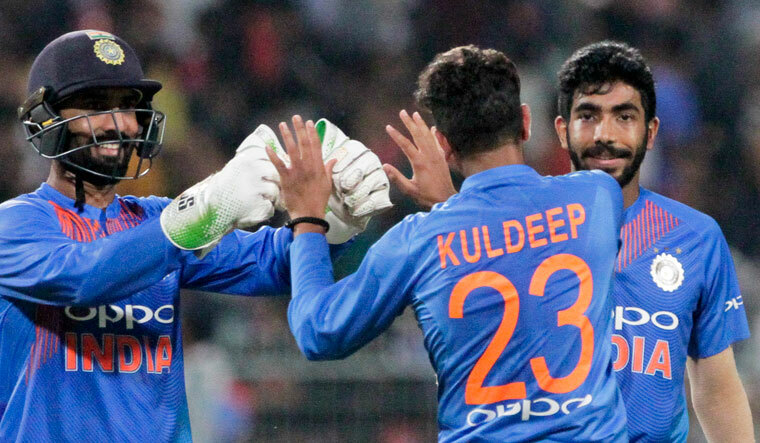 Pace duo of Umesh Yadav and Jasprit Bumrah and spinner Kuldeep Yadav have been rested for the third T20I against West Indies ahead of India's tour to Australia. “The decision has been made to allow the trio to be in the best physical condition ahead of India's tour to Australia. Squad: Rohit Sharma (c), Shikhar Dhawan, KL Rahul, Dinesh Karthik (wk), Manish Pandey, Shreyas Iyer, Rishabh Pant (wk), Krunal Pandya, Washington Sundar, Yuzvendra Chahal, Bhuvneshwar Kumar, Khaleel Ahmed, Shahbaz Nadeem, Siddarth Kaul.